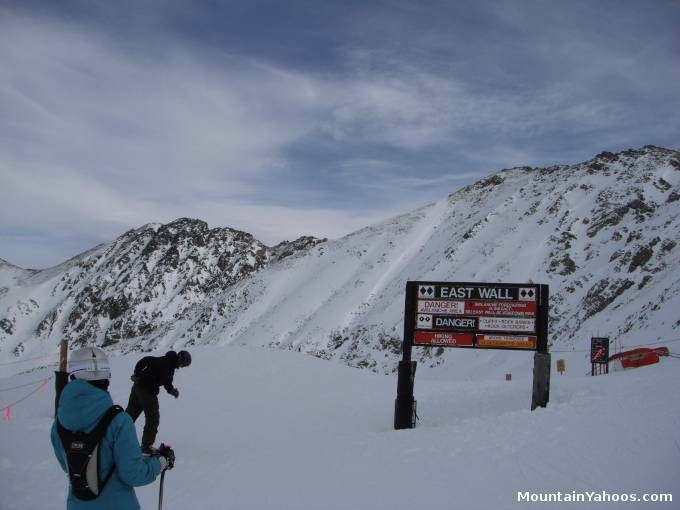 The Upper East Wall is an intimidating and visually awesome ridge of the Lenawee Mountain peaking at over 13,204 feet above sea level. 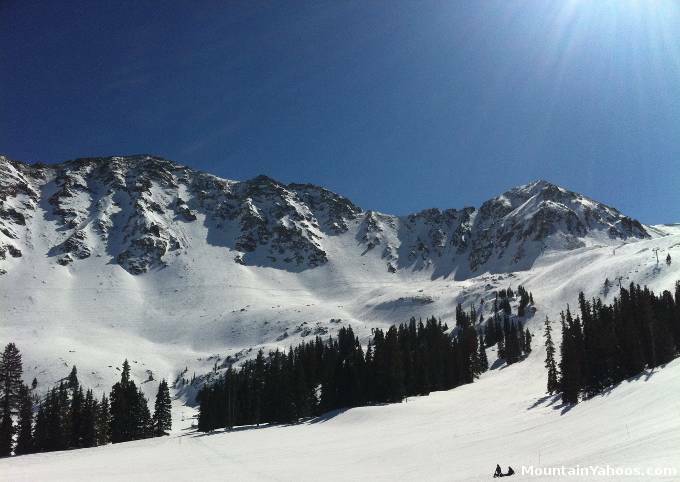 It is often open for skiing but it must be remembered that glory is offered only to those willing to hike the ridge. 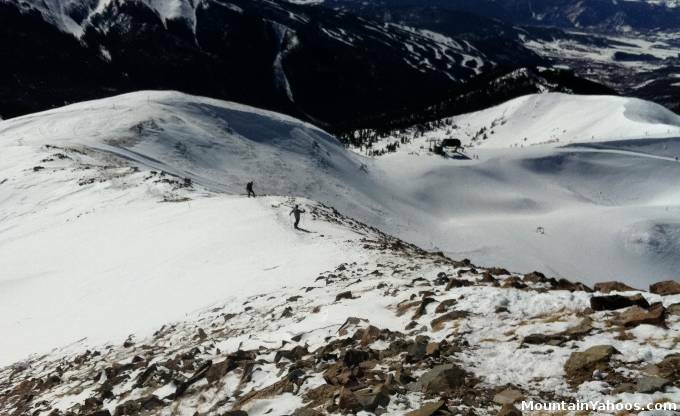 Snow coverage often limits the terrain open for skiing so examine the terrain before hiking. 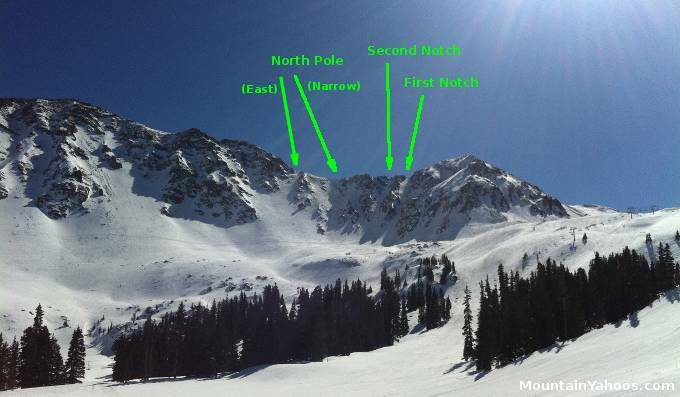 This article covers a hike to the top of "North Pole Chute". 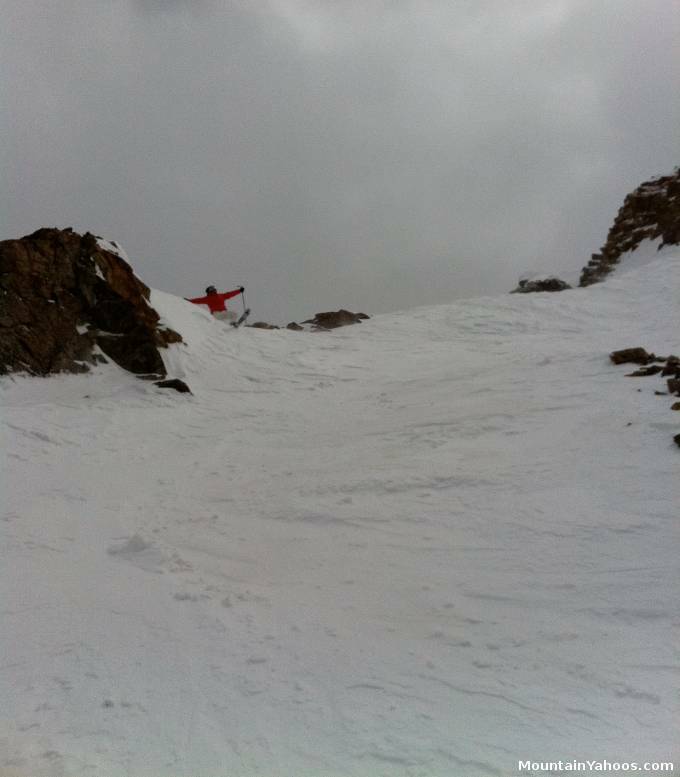 You may find that snow coverage is poor and there is no sane entrance from the top of any of the chutes. Please survey the situation from below before attempting the hike. 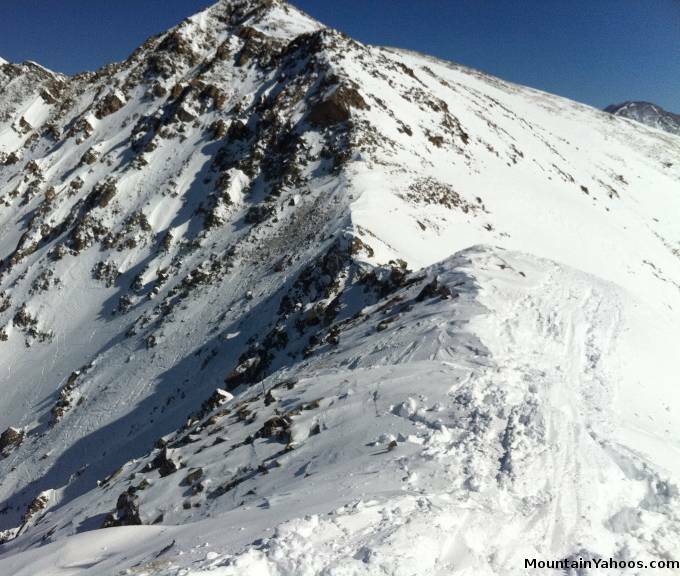 It is also common the hike from below to reach the upper snow limit and then proceed to ski down from that point. The hike along the ridge is at the very high altitude of over thirteen thousand feet. You may find it extremely exhausting. Symptoms of altitude sickness may also strike. Do not travel alone. 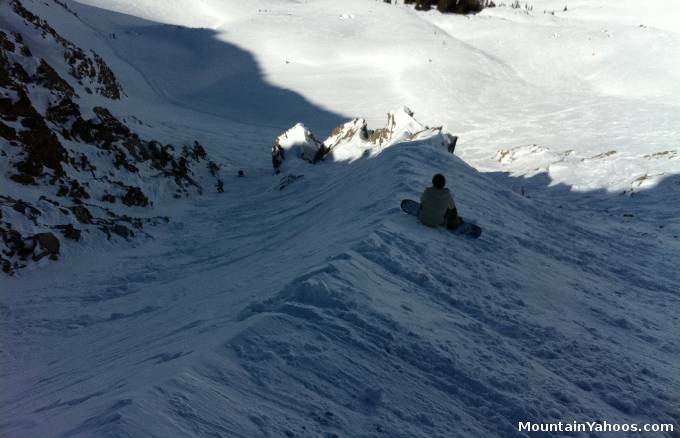 The chutes are marked trails with signs at the entrance to the runs. They are not necessarily on the trail map. North Pole is bifurcated by a spine which splits it into a narrow and an alternate wide run. The chutes First and Second Notch are not even on the trail map.